A contest and a little friendly competition always adds a bit to an occasion, don’t you think? 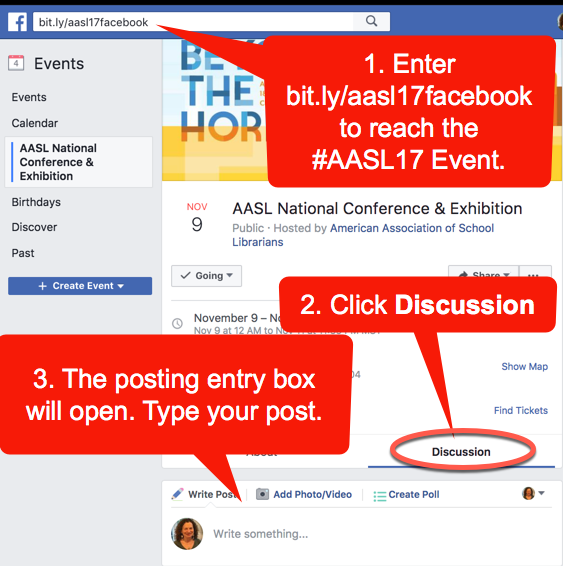 At the #AASL17 National Conference, you will have a chance to win something each day: recognition for your social media posts! 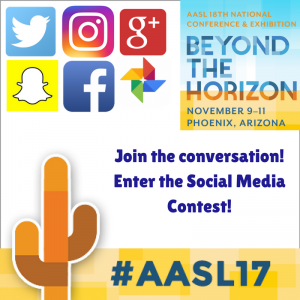 AASL’s Social Media Editorial Board members will be monitoring your posts on Twitter, Instagram, Google+, Snapchat, Facebook, and Google Photos, and selecting daily winners in each of several categories. And, please don’t stop reading even if you can’t attend the conference; you can still post in any of the categories, but there is also a special category just for you. You can also install the Google Photos mobile app on your phone. Consider sharing your photos here in addition to other social media posts. And, take advantage of Google Photos’ Assistant tool to make some fun animations if you like. Recognition and bragging rights! Your post and winner status will be featured on the KQ Blog and KQ Conference Edition. We will also send you a digital badge you can share on social media, your blog, website, and wherever you like. In addition, we will have a winner sticker for you if you are on-site. Be sure to brag about your win! When Will the Contest Run? Look for posts on social media on Thursday, Friday, Saturday, and Sunday announcing the previous day’s winners, and a KQ blog post the following day. We look forward to seeing your posts and know they will enrich our conference experience. ‹ The News Is Bad. Should We Have It On in the Library?